We do your web stuff for you so you don't have to. All our web projects use HTML5 for cross-platform compatibility and semantic markup. Video and audio content is delivered via native HTML5 applications, with Flash as a fallback technology for older browsers. Drupal is our open source CMS of choice because of its security, reliability and extensive community support. Our main developer Mikko has 4+ years of experience working with Drupal-based web applications. Based on the Drupal CMS, Drupal Commerce is easily the most versatile (and free!) e-commerce platform, and therefore our primary choice for your e-commerce needs. And because it's Drupal, normal website development and operation doesn't need to be burdened by the e-commerce "back office". 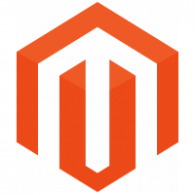 Magento offers a mature out-of-the-box e-commerce platform, and has a free edition with community support. Advanced custom functionality can be slow and/or costly to achieve, and the included CMS is quite limited. Note: Due to contractual reasons, we cannot currently engage in new e-commerce projects.